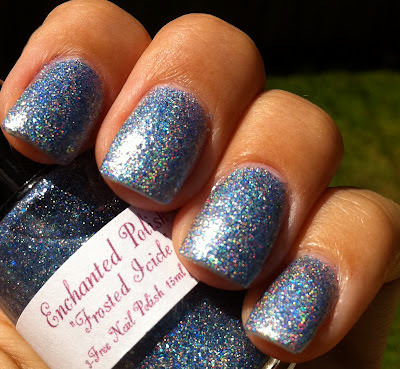 I have a really gorgeous polish for you today Enchanted Polish Frosted Icicle is so pretty an amazing glitter and holo mix, I love this style of polish I have Cray Cray and Once Upon a Time that are both a similar formula and they are both really beautiful too! So pretty! Such great shades of glitter mixed together! Wow this is so stunning! I love the name!